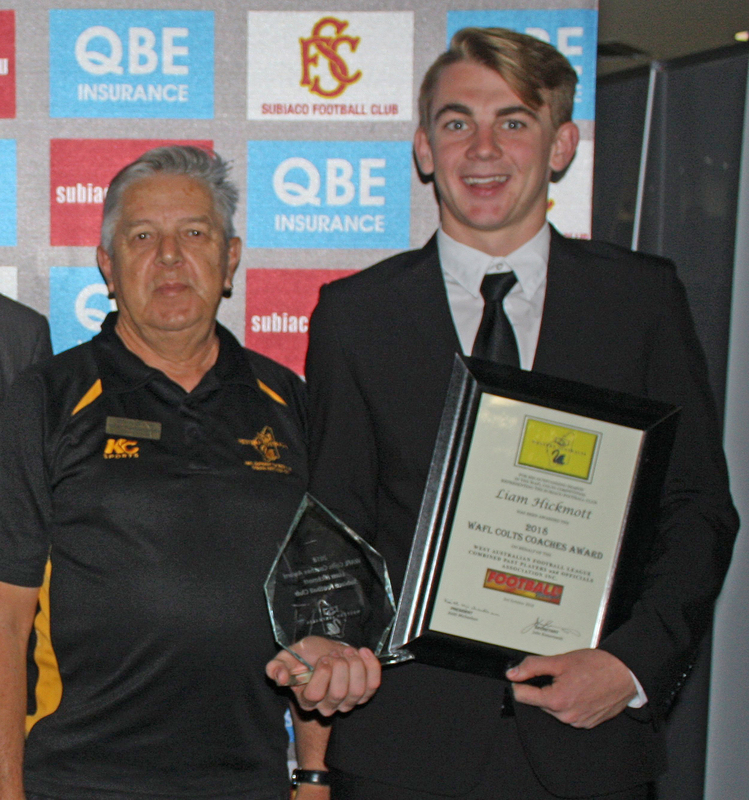 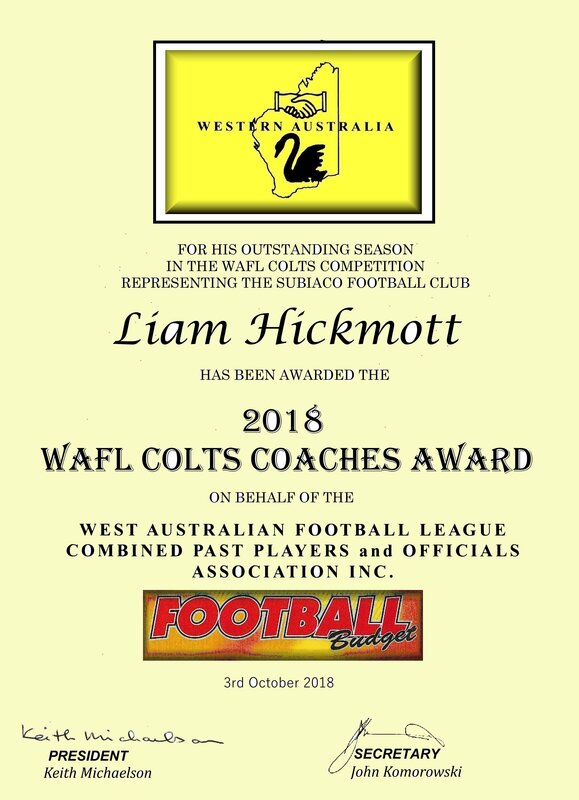 Senior Vice President Garry Underhill presenting the 2018 WAFL Colts Coaches Award to Liam Hickmott representing the Subiaco Football Club Colts. 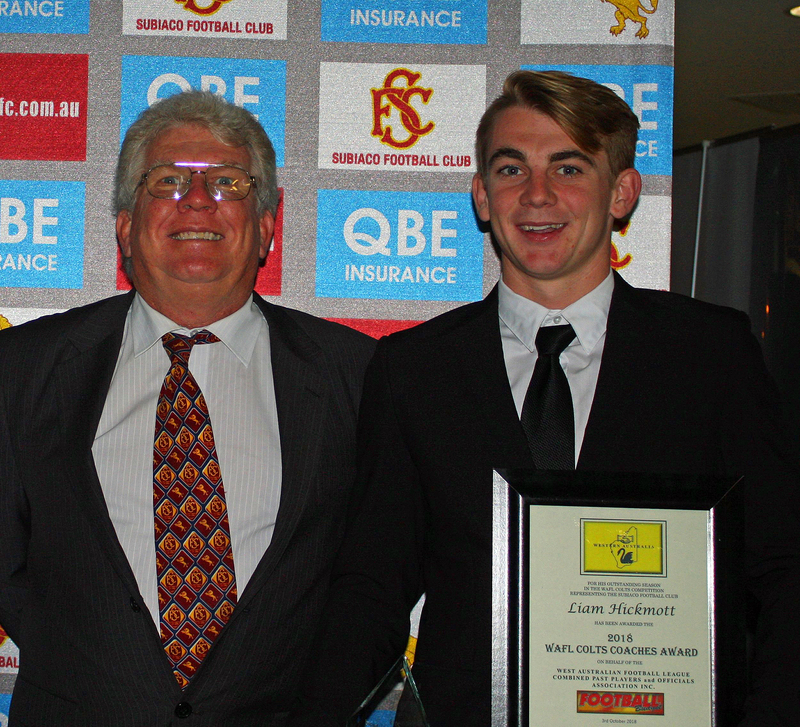 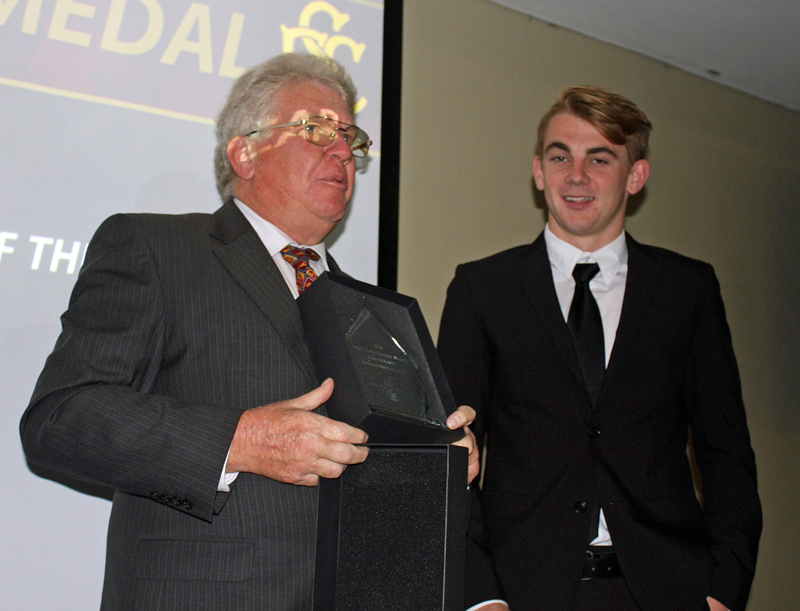 President Keith Michaelson presenting the State Academy 18's Best and Fairest Award for 2018 to Jordan Clark From the Claremont Football Club Colts. 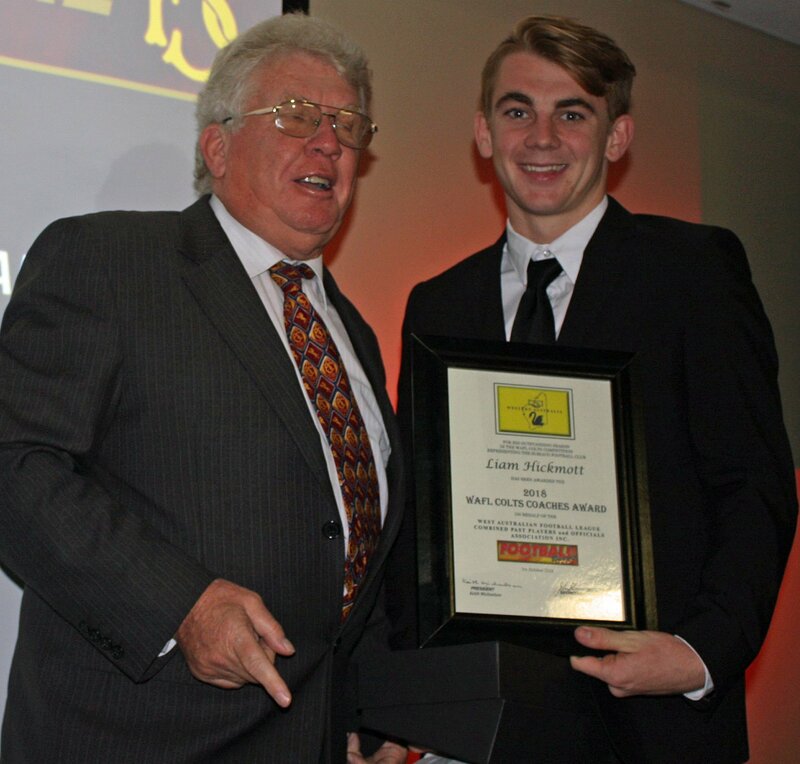 Jordan was adjudged the Best and Fairest player for the West Australian State 18's that competed in the 2018 AFL National Championships. 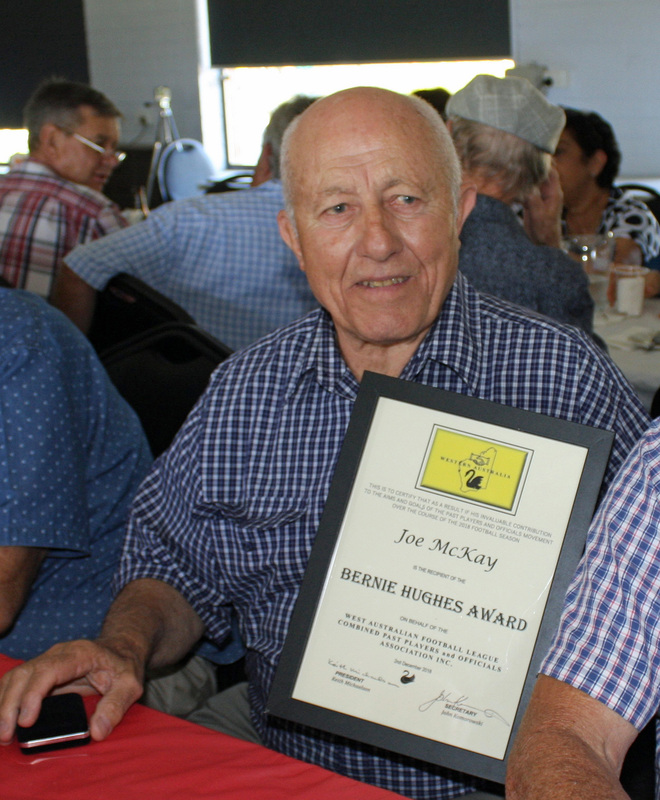 The Bernie Hughes Award receipient for 2018 was Joe McKay from the East Football Club Past Players and Officials Association. 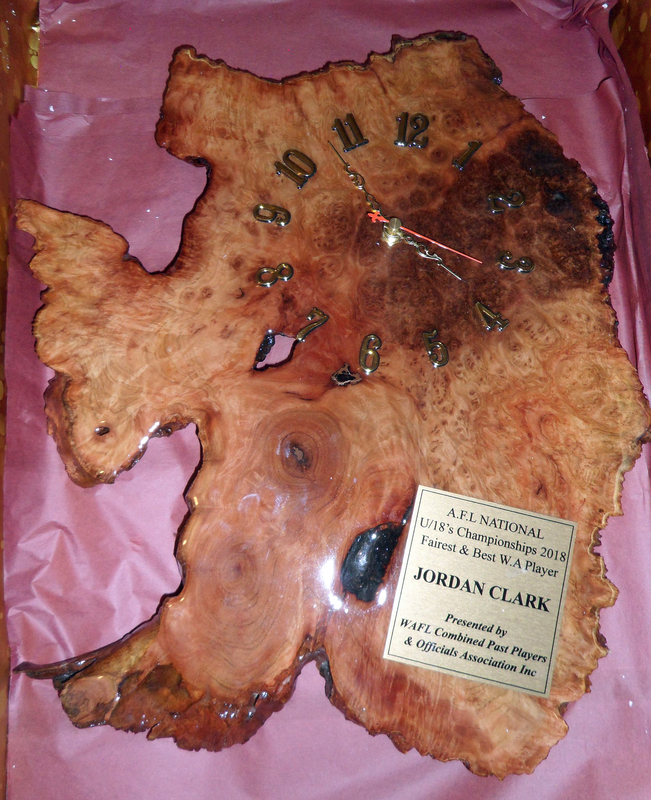 The Award was present to Joe by Lynette and Philip, from the Hughes Family. 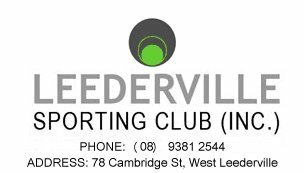 The Award was presented at the annual Bernie Hughes Xmas lunch function held at the Leederville Sporting Club on Sunday 2nd September 2018. 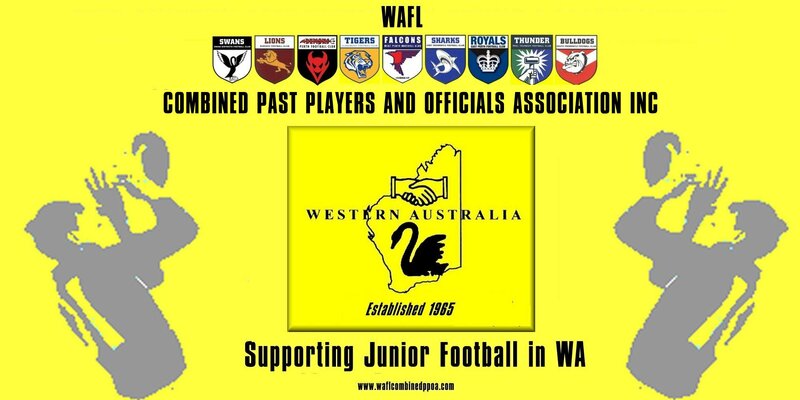 The WAFL Combined Past Players and Officials Association was incorporated in 1965. 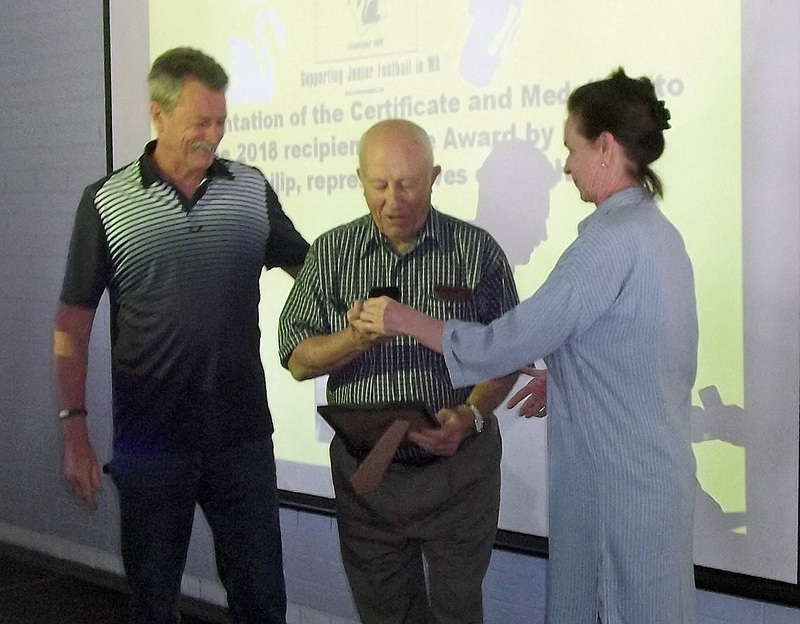 The inaugural President of the Combined Association was Stan Moses. 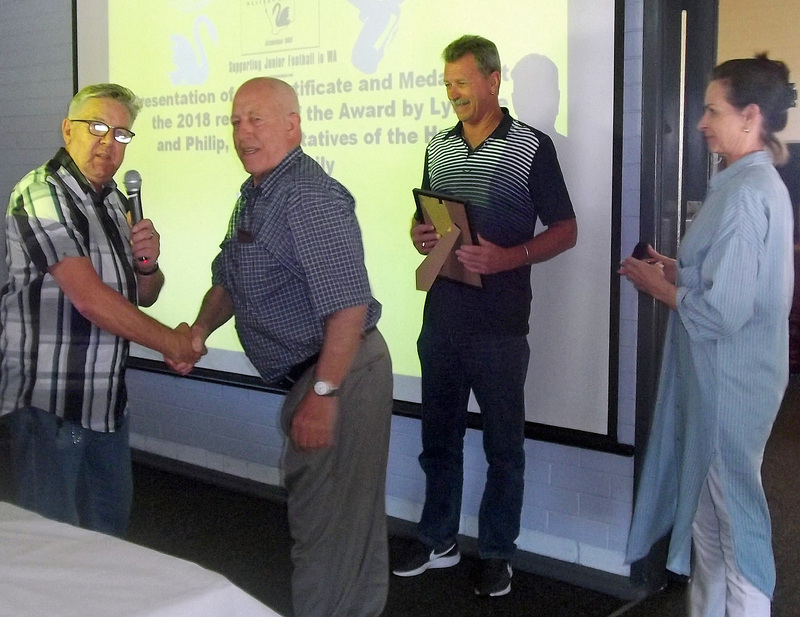 Stan served as President of the WANFL Combined Past Players and Officials Association 1965 - 1966. 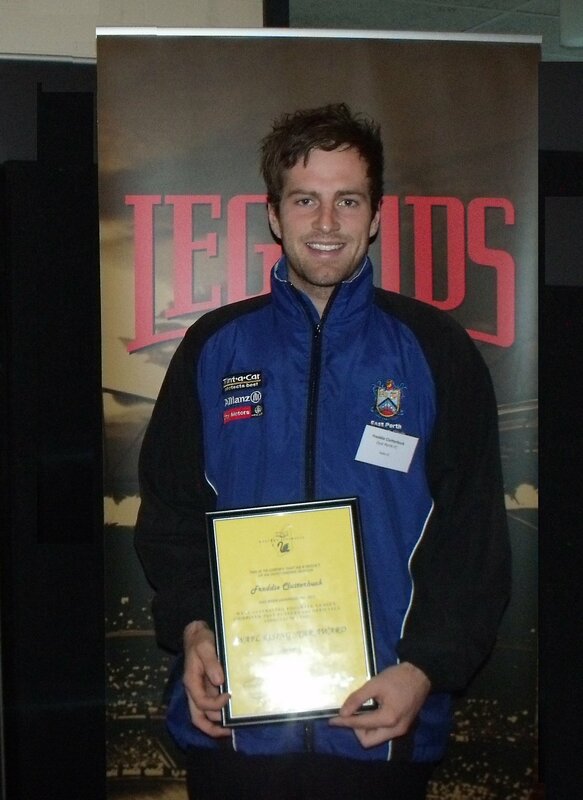 Stan was instrumental in the creation of the then WANFL Combined Past Players and Officials Association. 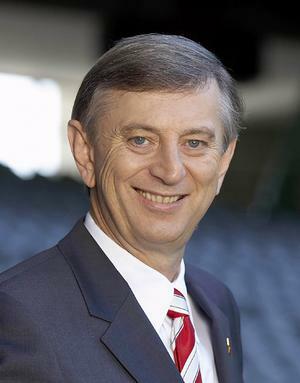 He saw the importance of having a governing body to oversea all the individual club Past players and Officials Associations. 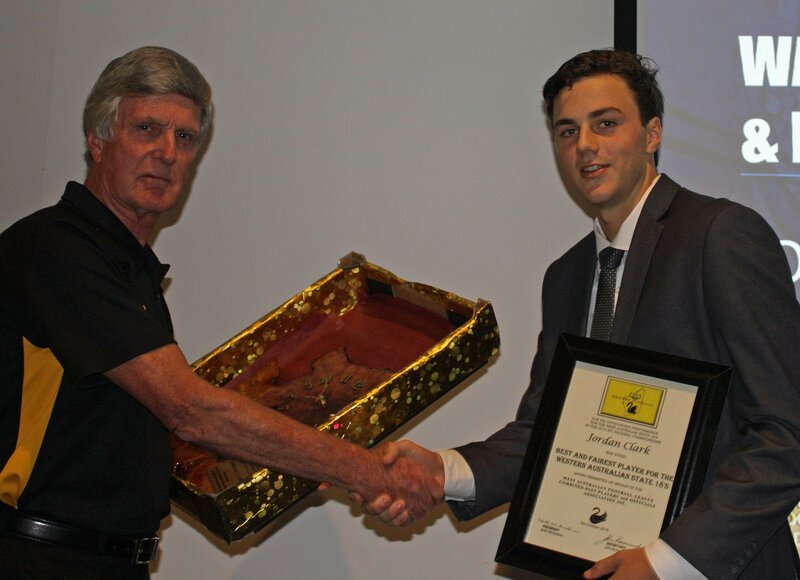 Stan had the idea for some time and in 1964 put the idea to the the management of the Swan Districts Past Players and Officials Association who endorsed the idea.for him to approach the other Clubs. 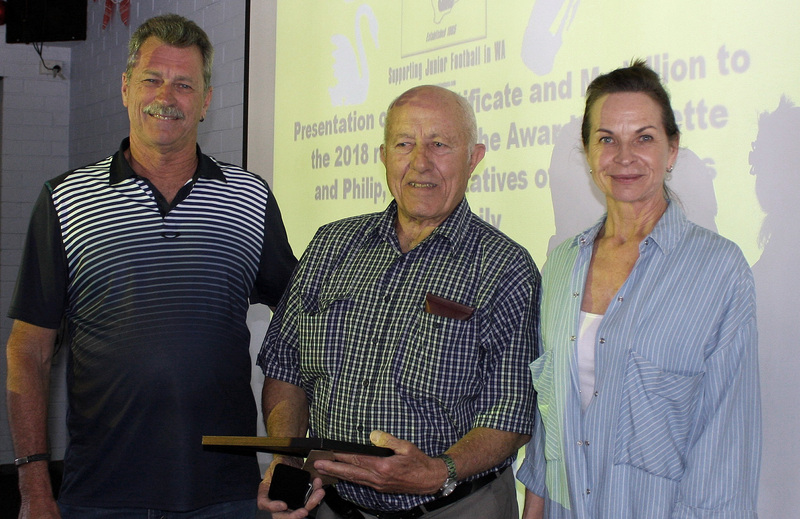 With the support of Ernie Lummis from the Claremont Football Club and Bill Golding from the West Perth Football Club a meeting was held, a committee was formed with Stan being nominated the inaugural President of the Combined Association for the 1965 season. 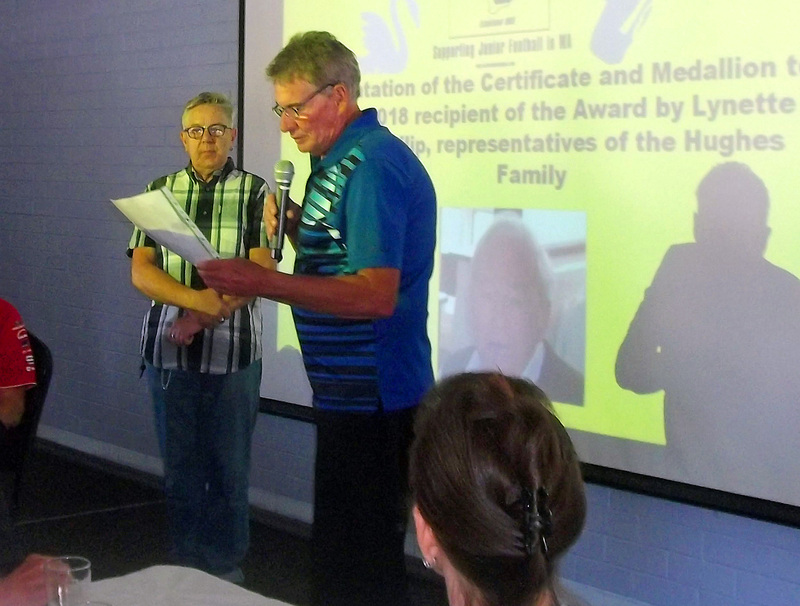 Together with Ernie and Bill a Constitution was drafted founding the Association. 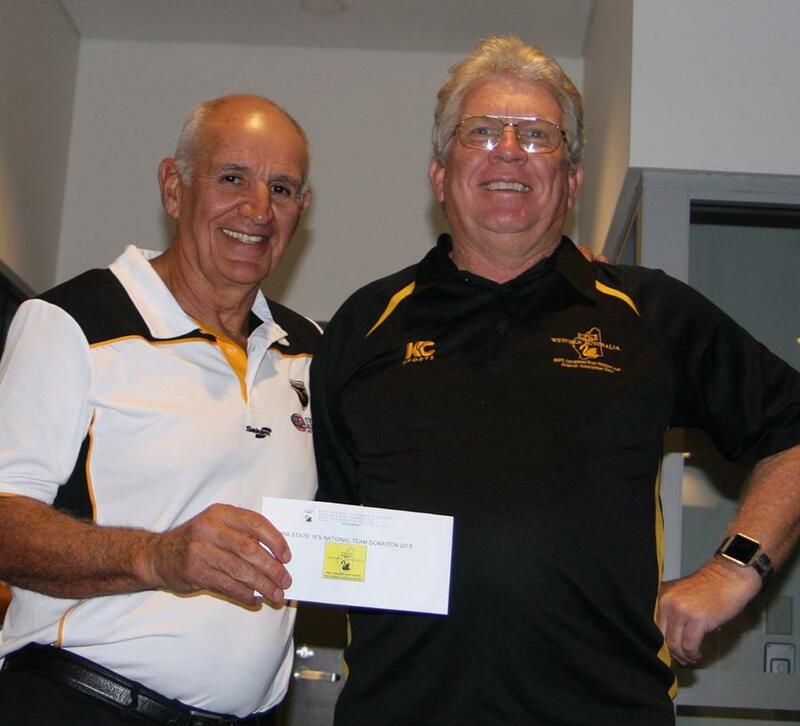 The Combined Association would in future be made up of a president, secretary, treasurer and Delegates from all affiliated Associations of the eight WANFL/WAFL Clubs. 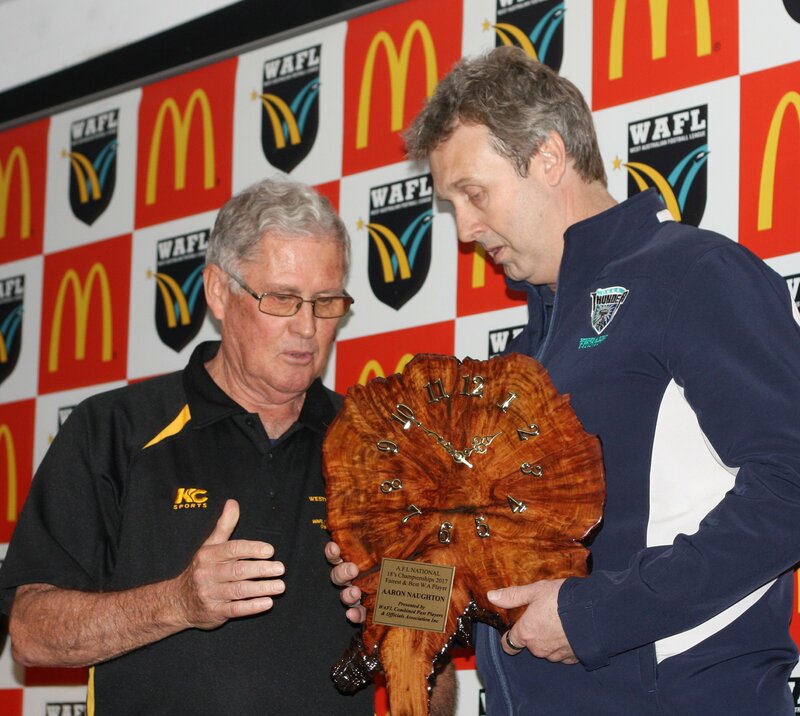 With the inclusion of Peel Thunder in 1997 the Association now has nine affiliated WAFL Clubs. 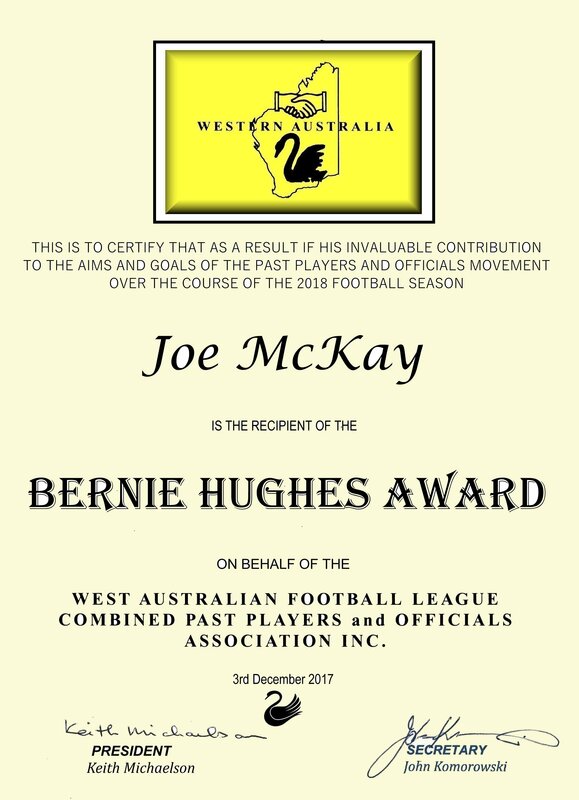 To conduct combined business and social functions for Members of the affiliated Past Players and Officials Association of the WAFL (Inc), as the governing body of the Western Australian Football League Past Player's and Officials movement. 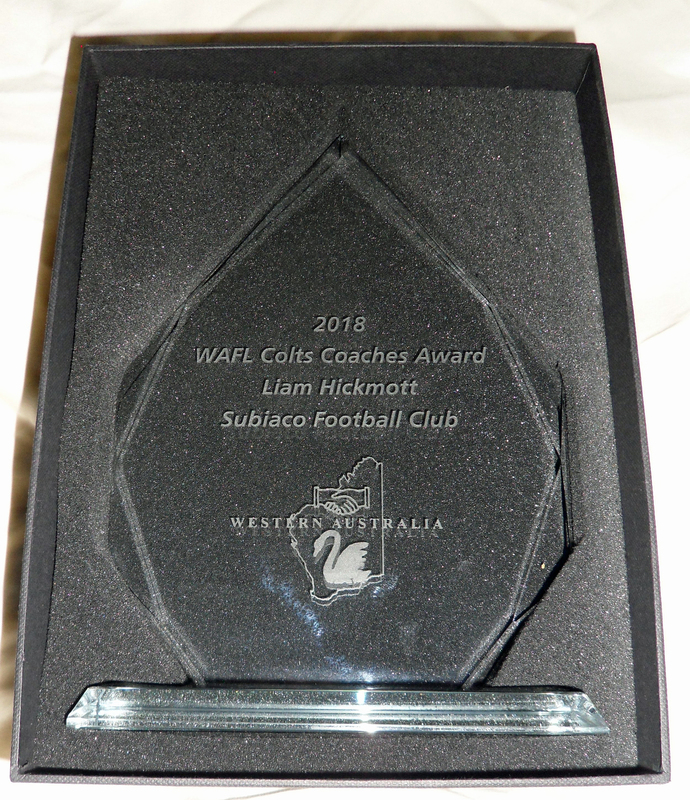 To assist and encourage the game of football in the State of Western Australia. 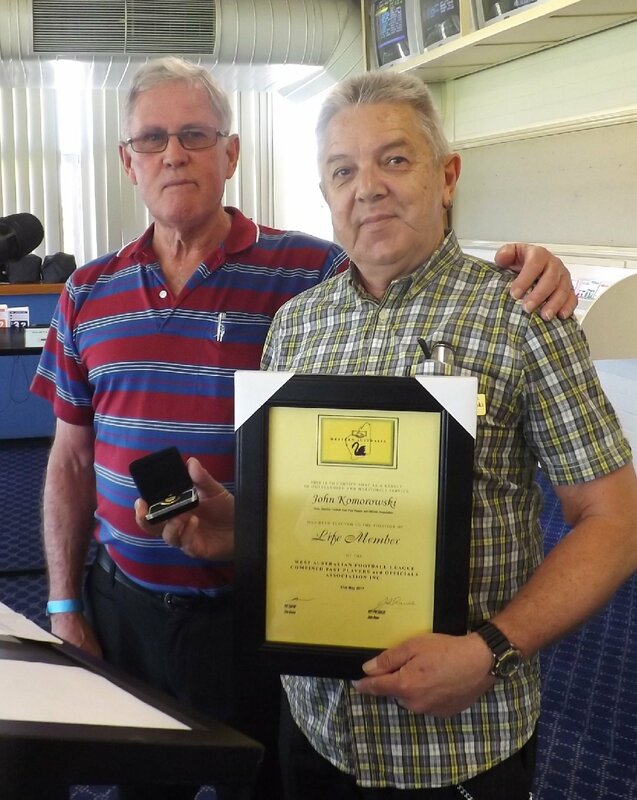 To raise monies from time to time for the furthering of the objectives of the Association.